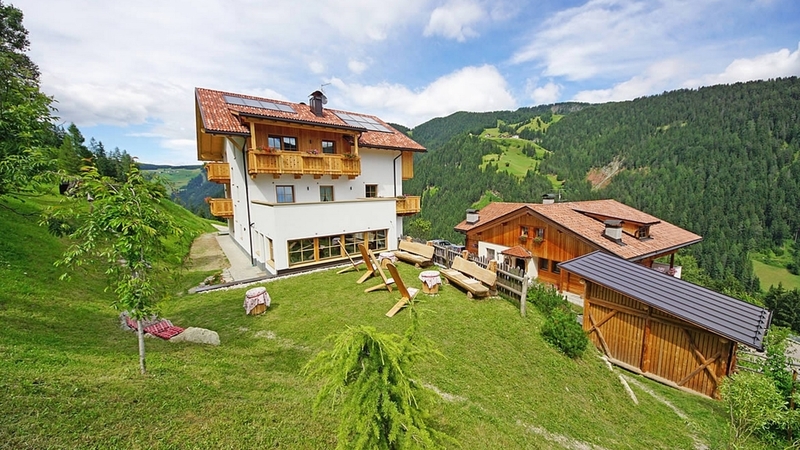 Farm holidays with half board in Gadertal with dreamlike view – ideal for active travellers, gourmets and families. 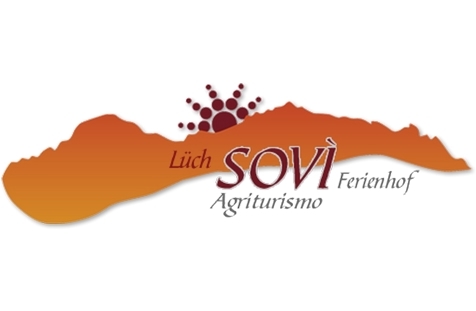 Welcome to Ferienhof Sovì in Wengen! Our farmstay Sovì has been completely renovated in 2016 and offers rooms with half board in a quiet and sunny position at 1,350 m a few kilometres from the village centre of Wengen. Here in Alta Badia holiday region, you will look forward to an inviting and familiar ambiance, an unforgettable view over famous peaks of the Dolomites, culinary delights and countless outdoor activities. Nature and tradition are particularly present in our rooms: Our guests will find new, light-flooded rooms with wooden floors and furniture, bathrooms with natural stone, shower and WC as well as to a balcony with mountain view. Free WLAN and a TV are available too. On request, we change you r towels and bed linen. Within our half board catering, you can enjoy a mountain breakfast with homemade butter, jams and cakes, fresh fruit and much more. On request, we prepare packed lunches. At dinner, we spoil you with traditional Ladin dishes, for which we is fresh and organic ingredients. Eggs, milk, butter, bacon and meat are coming from our alpine dairy and most of the fruit, vegetables and herbs comes from our garden in summer. For relaxing moments, we offer a wellness oasis with lovingly designed relaxation room and a Finnish sauna. The garden awaits our small guests with a playground and sandbox. Sunbeds, umbrellas, a barbecue and a recreation room with book are available as well. The rooms of Ferienhof Sovì in Wengen are situated near the skiing areas Alta Badia and Mt. Kronplatz, which are part of the ski carrousel Dolomiti Superski. For your equipment we offer a ski room on site. Ski mountaineers, snowshoe hikers and cross-country skiers will enjoy the unique Dolomites too. Wengen – in the heart of the UNESCO World Natural Heritage – was elected the “1st European hiking village”. Moreover, bike lovers and mountain bikers can look forward to tours such as Sellaronda in Alta Badia. Fixed rope routes, climbing tours and highlights for families with kids complete the offer. Home made products, Sunshade, Deckchair, Ski depot in the house, Snow boot dryer, Packed lunches, Barbecue facilities, Secured storage spaces for bikes and motorbikes, Quiet position, above 1000 m a.s.l.